A towering literary giant, Fyodor Dostoyevsky was—and remains—unparalleled in his understanding of the darkness that resides in the farthest corners of the human soul. Although his shorter works have been overshadowed by his astonishing novels—Crime and Punishment and The Brothers Karamazov, to name but two—his stories and novellas deserve a place among the great literary inventions of the modern era, offering insight into the themes and ideas that drive his longer fiction. 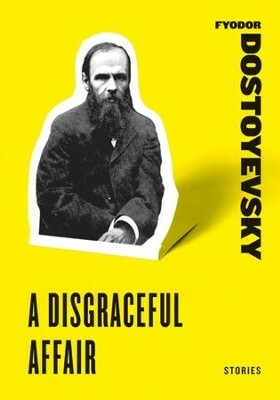 Included in this volume are some of Dostoyevsky's most troubling, moving, and poignant short works. Harper Perennial proudly supports the art of the short story. Included in this classic volume is a bonus story from one of our new writers, Barb Johnson, from her forthcoming collection, More of This World or Maybe Another. Read a short story today. Fyodor Dostoyevsky was born in Moscow in 1821. He died in 1881 having written some of the most celebrated works in the history of literature, including Crime and Punishment, The Idiot, and The Brothers Karamazov. I'm the author/artist and I want to review A Disgraceful Affair - eBook.